I am welcoming back our guest from episode 13, Jillian Tohber Leslie. If you missed that episode, be sure to go back and listen to it for great ideas on follower growth using the MiloTree app. Jillian and I have continued our Pinterest discussions behind-the-scenes and I wanted to invite her back today to talk about how to create the best Pinterest boards. Jillian and her husband run a very successful website Catch My Party. Their Pinterest page reflects everything parties. They have 250 boards on their page, and those boards cover everything from overall party themes to very narrow ideas, but each board reflects the theme of their business. While it is important to Pin other people’s content, at the end of the day your Pinterest strategy should be focused on highlighting your content in order to drive people to your site. It is a popular misconception that every person on Pinterest needs to have certain boards whether those topics are in their niche or not. For example- a quotes board, a fashion board, etc. The fact is, your boards should be relevant to the audience you are targeting and to your content. Catch My Party didn’t start out with 250 boards! They started at the beginning just like everyone, and they slowly grew their boards very organically. Jillian’s content is based on parties: kids’ birthday parties, baby showers, bridal showers, and holiday parties. With that in mind, they create boards to match their content. Specific boards — Because people upload photos of their parties onto the Catch My Party site, Jillian began noticing that some people were more specific. People were throwing “girl” baby showers, “boy” baby showers, “first” birthday parties, etc. By using the word “Party Ideas” on every one of their boards, they become seen as an expert on the topic by Pinterest, and they also increase their brand. They want people to think of them when they begin thinking about throwing a party. They don’t spend time creating boards that have nothing to do with their brand; so you won’t see a Quotes board on their Pinterest page. When I think about the value proposition for our users, I don’t think that when they think about Catch My Party that they’re thinking about quotes. 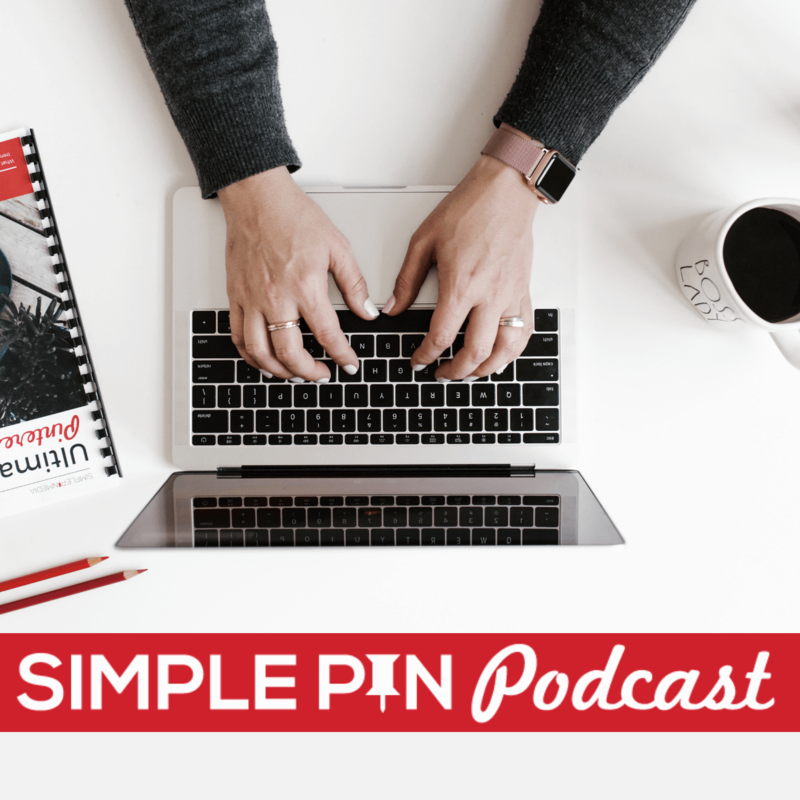 If you are just getting started on your business Pinterest account, Jillian has some advice for you- figure out what your content falls under. An example would be a jewelry designer. Let’s say you make bracelets and necklaces. You will obviously have a bracelet board and a necklace board. But think of what else you could put that jewelry under. Would that necklace you make look great with some fall fashion trends? Then by all means, have a Fall Fashion board. Would the bracelet you designed make a great gift? Then have a Gifts board. Now take it a step further- does your jewelry have anything to do with recipes? NO! So don’t create a recipe board. Ask yourself how you can serve up your content in a way that’s useful to the consumer. Jillian waits for photos of specific items to start popping up on her site before adding a board for it on Pinterest. Minecraft and Pokemon GO! parties are very popular right now, so she has created boards for them. This all goes back to the idea of growing organically; taking each step as it comes up instead of going before it. Here are a few tools Jillian uses to investigate the best name for a board. Pinterest Analytics. She is looking for trends before creating new boards. What Pins are floating to the top? What are people looking for? Pinterest Search Keywords. Pinterest gives you exactly what you need to know. After searching a term, see what comes up. Use those keywords in your board description. Take it a step further, create content. After seeing exactly what people are searching for, Jillian may be inspired to create content around those searches. Seasonal boards can be a real traffic booster for your business. Right now, it’s near Halloween, so all those Halloween and Fall boards and Pins are floating to the top on Pinterest. But what happens in the off-season to those boards? Do you keep them, but make them secret? Can you reuse them every year? Jillian begins to move the boards up higher as the season approaches; so she has just pushed her Halloween boards to the second row on her page. As the holiday gets nearer, she will push them up even higher. When Halloween is over, she will not get rid of those boards. She will just push them to the bottom. She also still re-Pins holiday themed Pins onto the relevant board no matter what time of year it may pop up in her feed. She doesn’t, however, make it a regular practice to populate her holiday boards in their off-season. If you keep using the same board every year, and if that board has shown up in people’s searches from the previous years, then you are more likely to show up again as the season rolls back around. So if you had a Pin that did really well in its previous season, you want to keep using it. Jillian also goes back into the seasonal boards a bit ahead of time and begins to repin the most popular Pins from that board. She uses those Pins to inspire her new content for the current holiday season. Pinterest is a free editorial calendar; if you are wondering what to create, just go look at what worked last year or last season…create a spin-off of that. It also makes it easy to remember what you worked on last year for the same season. Going back through blog posts or your website can be a pain, while just looking at your seasonal Pinterest boards can give you that same information very quickly. Tip: Learn how to update holiday content for Pinterest. If you had a Pin on a seasonal board that did not do well, maybe go back and Pin something else from that blog post. If a Pin doesn’t resonate with her audience on the first round, Jillian isn’t a fan of trying to resurrect that Pin. Instead, she tries something else. We talked a lot about growing your boards organically, so let’s look at a specific example. Catch My Party started with a very general “Halloween” board. But as they grew, their boards also grew, and became more specific. While they do have their “catch-all” boards, they try to Pin things to multiple boards. This is where having general and more specific boards is helpful. It allows for more views of your Pins, and opens up more options for you. If you are going to start new boards, where do you begin? Do you start them as secret boards? Do you add lots of Pins before going public, or do you just grow them slowly? Keep in mind that if you delete boards, you do lose followers. So if your Pinterest account needs cleaning up, it is better to make some of your unnecessary boards “secret”, rather than deleting them. When you grow your boards organically like this, deleting boards is almost never necessary. As you grow to meet your audience, you will create the boards that your audience wants to see. There won’t be boards to delete. Jillian and her husband actually have two businesses — Catch My Party and MiloTree. If anyone knows how to manage multiple businesses on Pinterest, she does! Jillian does have a separate page for her second business, which is MiloTree. Jillian’s goal with Catch My Party is to serve the moms who are busy, maybe a little bit frazzled, but want to have a great party for their kids. She doesn’t want to bombard them with a lot of blog business ideas. However, what she does have is a board titled How to Grow Your Social Media on her Catch My Party page. If a mom is interested in that, she can find it, and that is where Jillian does her cross-promotion. Out of 250 boards, she has made just 2 boards that relate to business on her party page. Even if it takes more work to create a new page, the advantage is that the page is targeted to people who want to see that type of information. Starting a new page can be a humbling experience, especially if your first page has a lot of followers. Catch My Party has over 600,000 followers and nearly 250 boards on Pinterest; whereas their other business, MiloTree, has only 20 boards and 320 followers. The main reason Jillian has not focused as much on the Pinterest page for MiloTree is because it is better to reach that audience through email. Whereas Moms who want to throw a certain themed party are more easily reached on Pinterest. Learn more about using Pinterest to grow your email list. It’s all about trying to be of service to your customers, your visitors…and trying to get into their heads. So what to do if you feel like you’ve got a mess on your hands or too much to do? Be sure they are targeted. You don’t have to do everything at once. Pinterest is a long term game; it is not the platform for you if you need instant gratification. You want to be the resource that your audience looks to for curated content. Focus in. Get smart. Be strategic. For new Pinterest users –> Pick 5 boards that you can create that will serve your audience and that have a very specific title. For existing Pinterest users –> Look at the boards you have already, and consider changing the name of some of them in order to serve your audience more. Create a spin-off board that gets even more specific. And if you are wanting to grow your Pinterest following, be sure to listen to Episode #13 of the podcast, and check out MiloTree. 2:00- What do you want to be known for? 10:00- Will this board serve my user? 29:40- OPEN ALL THE DOORS!! So you would recommend changing board names for consistency, even if you’re moderately successful on Pinterest? Someone suggested I add “marketing” in all my social media board names, since I have one named “Facebook Marketing Tips.” The others are just “Pinterest Tips” etc. I am intruiged by the same as Louise Is saying above. If something isnt working then by all means do change it. If it is working then why change a winning Team? Awesome podcast Kate, thanks for the value shared and the interview! Thanks for listening and I agree. Sometimes you need to look at analytics to see what is performing well. If something is working, then by all means, keep it. I’m all for change if something isn’t getting the results you want.